Dubbed, “The Sauce” this Nike KD 9 is Kevin Durant’s Nike KD 9 Christmas release that’s part of Nike’s 12 Soles Collection. Dressed in a Deep Burgundy and Metallic Red Bronze color scheme. 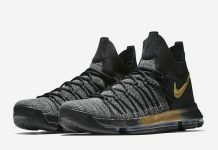 This Nike KD 9 features a full Burgundy Nike Flyknit upper with Bronze Nike Swoosh logos and KD branding on the tongue and heel. Completing the shoe is an icy translucent outsole. 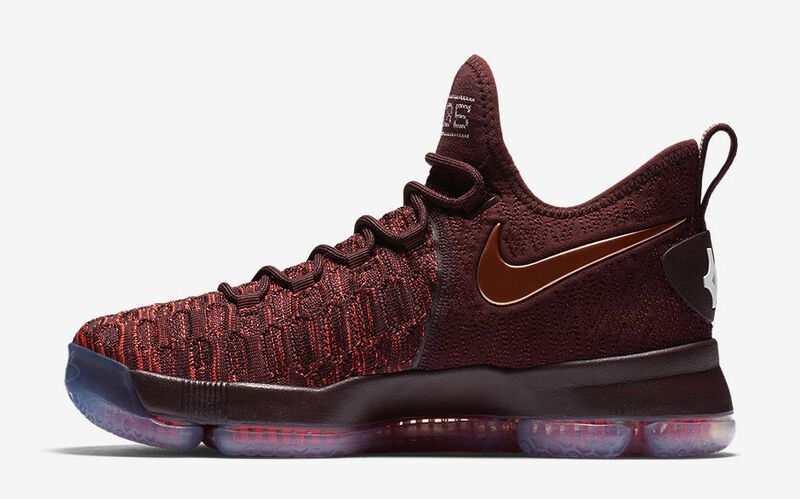 Look for the Nike KD 9 “The Sauce” to release on December 5th, 2016 at select Nike Basketball retail stores. The retail price tag is set at $150 USD.